Porter Dodson is a UK law firm based across Somerset and Dorset which provides legal advice to both individuals and businesses. They have a huge team of solicitors in the South West who have expertise working in specialist sectors of the law such as education, agriculture and creating a family. 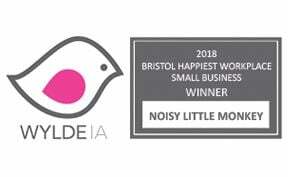 "We're still not sure why they are called Noisy Little Monkey, but their advice and help has been crucial to us. Their ability to explain complex and changing information about the opportunities available online has really given us an advantage over our competitors. They are definitely now very much part of our team." Porter Dodson were referred to us because they were expanding their fertility law practice and they needed help to become more visible in this very competitive online niche. We like a challenge, so we set to work. You can find out more details of how we helped Porter Dodson by downloading the case study today.